Now a days cooking fresh food is toughest task for many people. 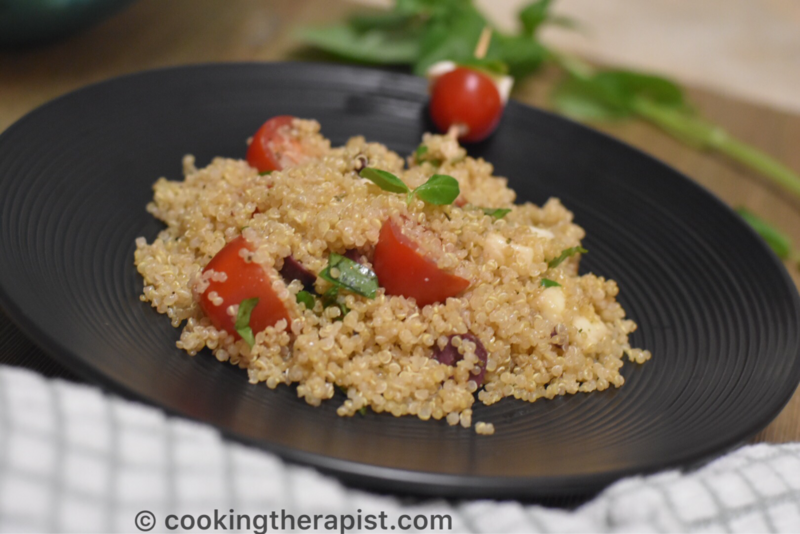 Quinoa caprese salad will help you to cook your meal in no time with very less ingredients. This bowl will make you feel full, satisfy and energetic for longer time, hence enhances weight loss*. 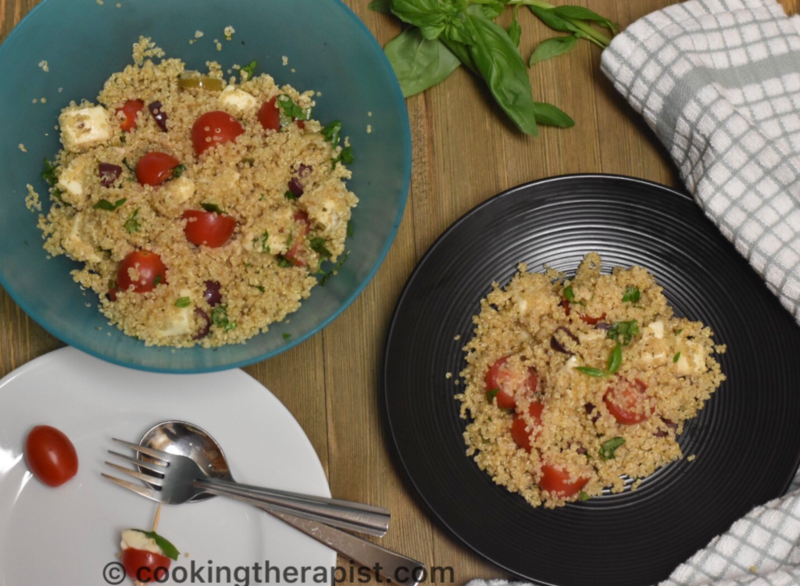 Light crunch of quinoa, softness of fresh mozzarella cheese, tang of tomatoes and lime juice and refreshness of basil that’s what you will feel while eating this yummy goodness. Caprese salad is Italian’s favorite salad which contains fresh mozzarella cheese, tomatoes and fresh basil leaves with drizzle of olive oil and balsamic vinegar with a bit of salt, crushed black pepper and oregano. I love this salad, specially for parties it is easy and impressive appetizer. I have tried to include quinoa to it and making it wholesome bowl hence you have one more easy and flavorful recipe. Serve it warm or cold with a bowl of soup. Wash quinoa and soak it in the water for approximately 30 mins. Cook quinoa in water with little bit of salt or in vegetable broth with double the amount of liquid (how you cook rice) for approximately 15 mins. Switch of the flame and let it sit for 10 mins on the stovetop with lid on it. Prepare salad dressing with olive oil, salt, freshly crushed black pepper and balsamic vinegar or lime juice. Once quinoa is completely cool down add chunks of fresh mozzarella cheese cubes, diced tomato, fresh basil leaves and salad dressing. Mix it very well and serve it with the bowl of soup. It taste great if it is served cold. If you are using 1 cup of quinoa you need double the amount of water to cook it just like rice. Do not use soft tomato in the recipe. If you are new to quinoa cook small batch and taste it, you might need to develop the taste. If fresh mozzarella cheese is not available in your country then you can use fresh paneer (Indian cottage cheese). If quinoa is not available then you can use split wheat (fada). 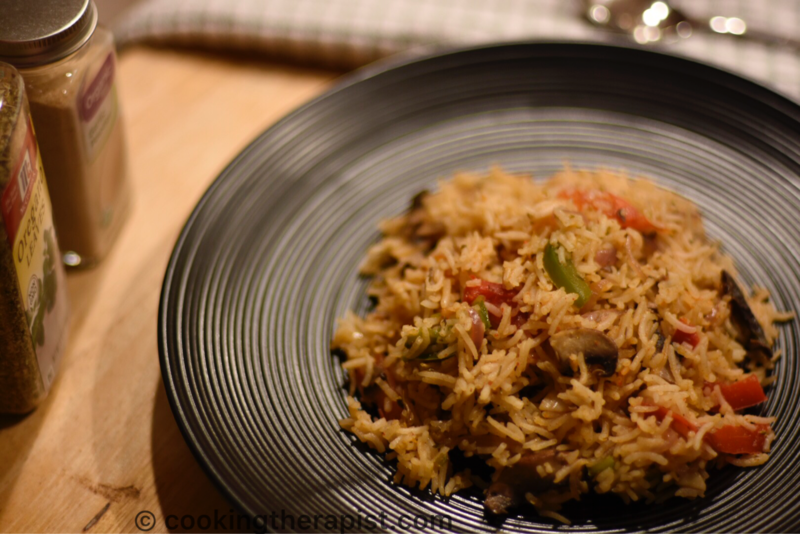 Check here for more healthy and easy recipes. More about quinoa and its health benefits. You can be creative with this recipe by adding olives or lettuce to your bowl. Modify your bowl according to your taste and let me know how it turns out. Till then Change the Way you cook!! Follow us on Facebook for latest updates. * Weight loss is depends on many factors so please consult physician or dietician.